CPCC Helpline now has individuals who will take questions about Prostate Cancer. 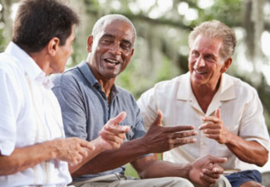 These individuals are Prostate Cancer Survivors and long time members of Prostate Cancer Support Groups. You can call these individuals between 10:00 AM and 10:00 PM Pacific Time. So if you just want information about Prostate Cancer, or are a newly diagnosed Patient, or Patient undergoing treatment, or Patient having recurring Prostate Cancer, you can call the CPCC Help Line Volunteers.